Maelstrom: #Day66 in our #DisneyWorldCountdown! Find the Hidden Mickey — it’s easy to spot! 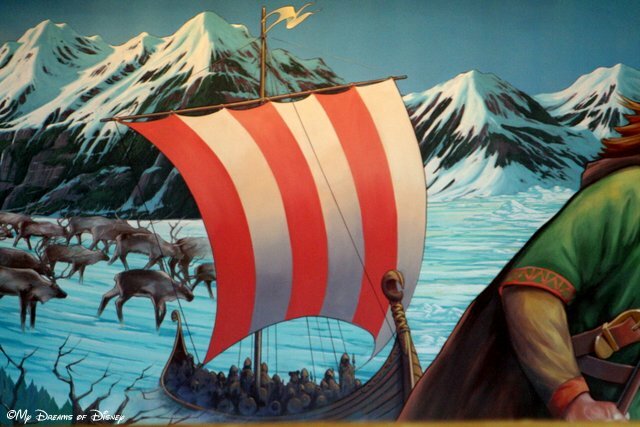 In addition to the mural, I like the different scenes exploring Norway’s arctic upbringing, and water background. 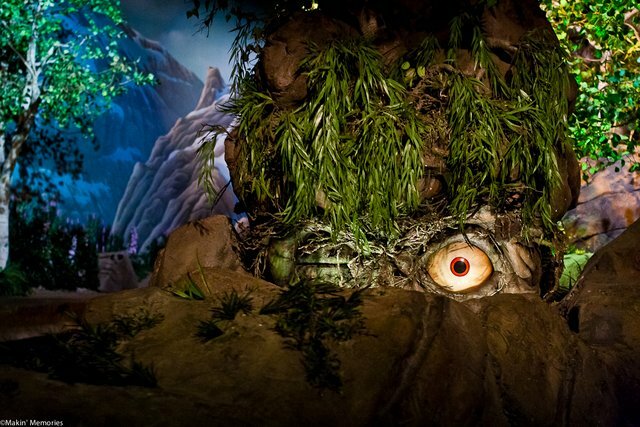 But the best part about Maelstrom to me is the trolls! I love the way we end up in their domain, and how we have to get away fast before they cast a spell on us! Special thanks to my friend Melissa for sharing her photo with me! You can find more of her excellent work on her Flickr account! Then, at the end, I like how we emerge in a Nordic village. If I had one thing that I wish they would do, it would be that they would update or fix the movie that they have at the end, because I really enjoy those sorts of things that share a bit of the culture of the country we are visiting. 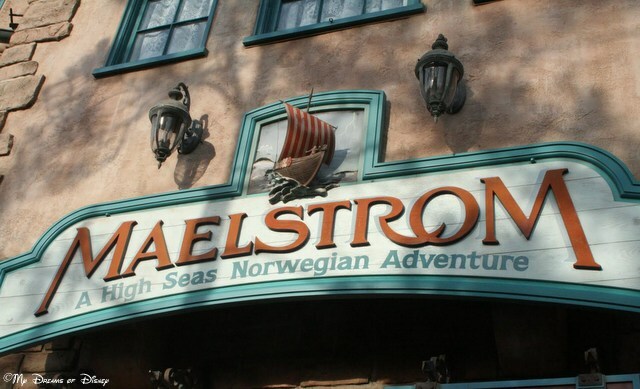 Do you and your family like to ride Maelstrom? If so, what is your favorite part? Let me know in the comments, and thanks for stopping by today! 22 Days til Disneyland – Phineas and Ferb’s Rockin’ Rollin’ Dance Party! Disney Frozen Review: A Love Story! Magical Blogorail – Heading to Norway!